"Today a dream came true." 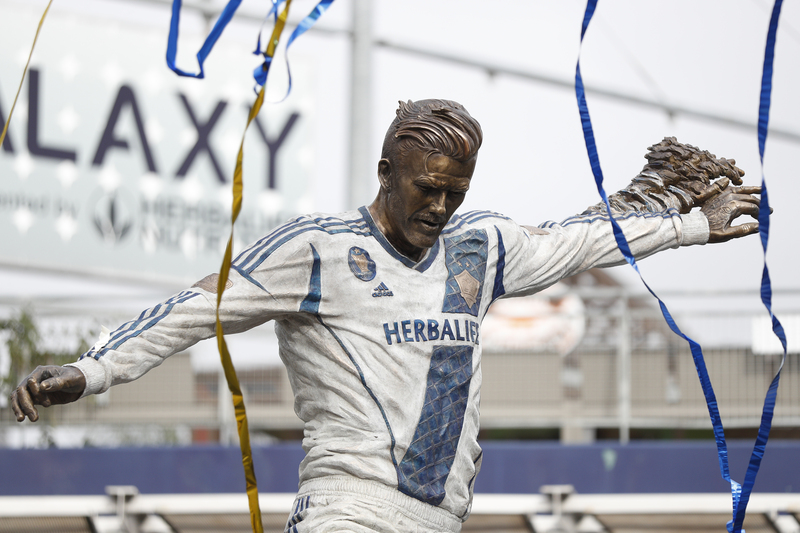 LA Galaxy unveiled a statue of David Beckham outside their stadium on Saturday evening. Ahead of the team's MLS season opener against Chicago Fire, when Zlatan Ibrahimovic scored the winner, the franchise held a ceremony to honour their most famous ex-player. Beckham joined LA Galaxy from Real Madrid in 2007 and was American soccer's most high-profile import since the late 1970s when stars such as Pele, Johan Cruyff and Franz Beckenbauer took their talents stateside.  His arrival led to a significant increase in the coverage of the sport in America, and several other top-level players would follow the former England captain to Major League Soccer. In five years in California, Beckham would help the Galaxy win two MLS Cups, scoring 18 goals and registering 40 assists. Because of Beckham's impact, MLS held a ceremony in his honour and unveiled a statue paying tribute to the former Manchester United midfielder, the first time they have honoured a player in this way. 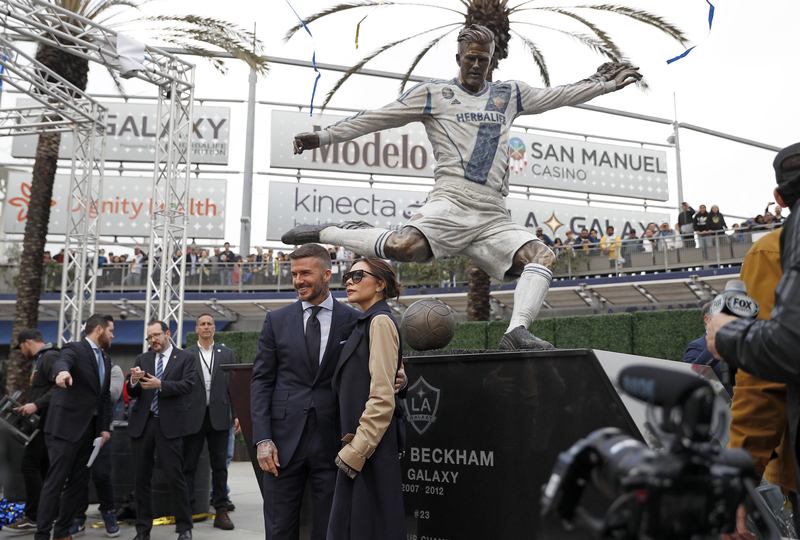 "Today a dream came true," Beckham said after the statue was unveiled, before praising and thanking his family, his former teammates and coaches, the LA Galaxy backroom staff and MLS officials. 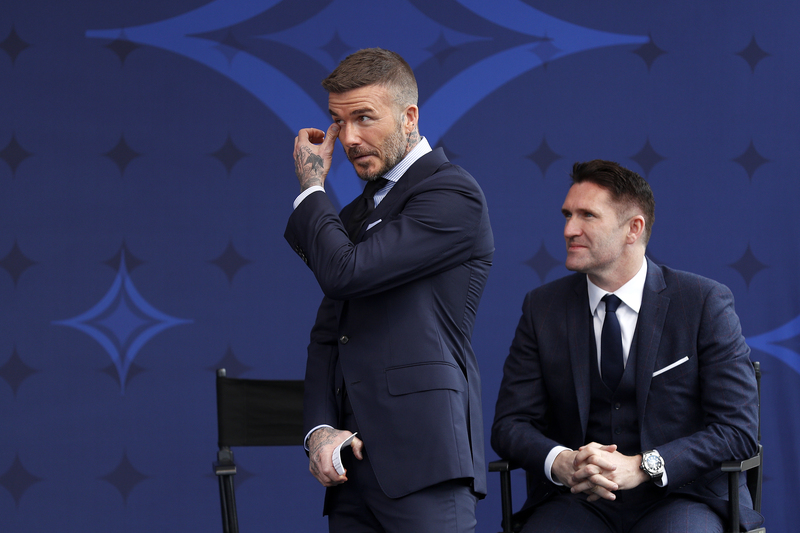 Former Republic of Ireland captain Robbie Keane sat alongside Beckham during the ceremony and paid tribute to his former teammate. The pair played alongside each other for two seasons at LA Galaxy and struck up a friendship off the field. 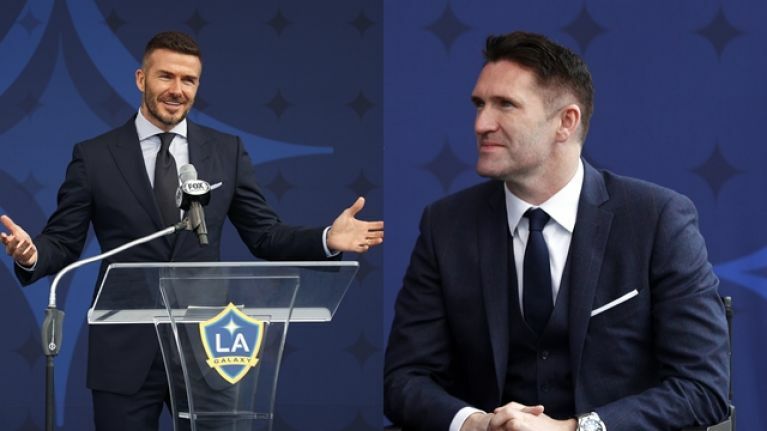 Keane praised Beckham's ability as a footballer, his professionalism and thanked the former midfielder for making him and his family feel so welcome upon arriving in the city. At the end of his speech, the Dubliner joked: "I hope to see you all back here next year for my statue," which drew a big laugh from the crowd. Keane scored 104 goals in 165 games for LA Galaxy, helping the team win three MLS Cups. He is among the most successful players in the league's history and probably has a point when he says he should have a statue of his own. 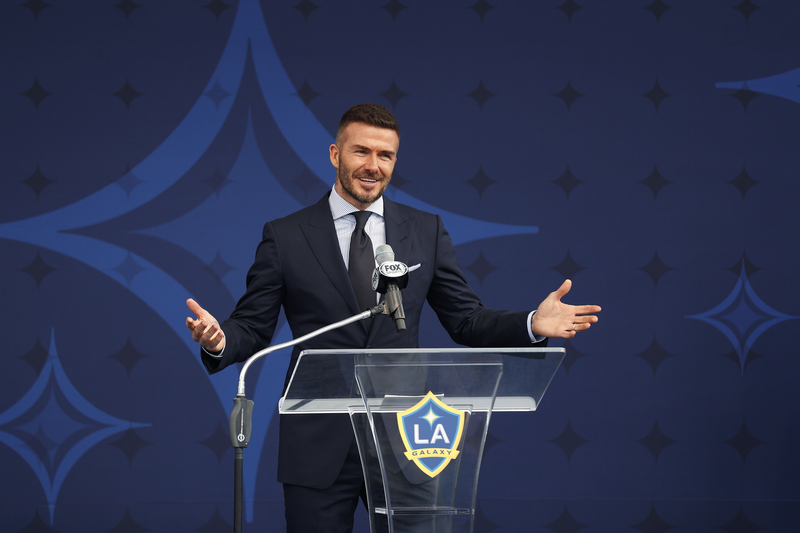 Beckham then paid tribute to Keane, crediting his arrival with the moment LA Galaxy began competing for trophies. "The moment we became successful was when this man arrived, Robbie Keane," he said. "He was the missing part in the puzzle."